Hamilton, Feb 10: In a nail-biting match, Indian women's team tasted defeat in the third and final T-20 International against New Zealand by mere two runs, to lose the series by 0-3 in Hamilton on Sunday. 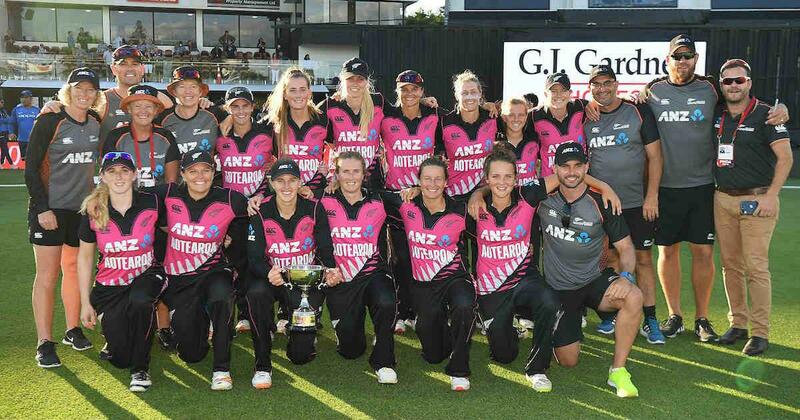 White Ferns scored 161 for 7 from 20 overs, in which hard-hitting opener Sophie Devine contributed 72 runs from 52 deliveries while captain Amy Satterthwaite scored 31 off 23 balls. Chasing 162 set by the hosts for a win, Indian opener Smriti Mandhana smashed 86 runs in 62 deliveries, but her batting onslaught could not lead the visitors to achieve the target. Mandhana departed for 86 off a slower delivery by Devine, with Lee Tahuhu making no mistakes. India off-spinner Deepti Sharma took two wickets for 28 runs, while Mansi Joshi, Arundhati Reddy, Radha Yadav grabbed a wicket apiece.